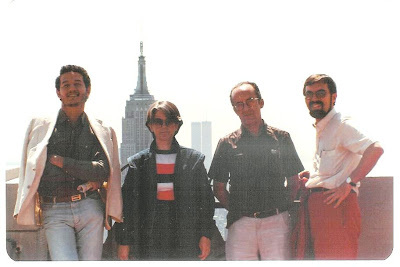 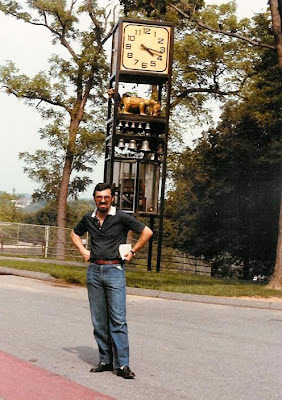 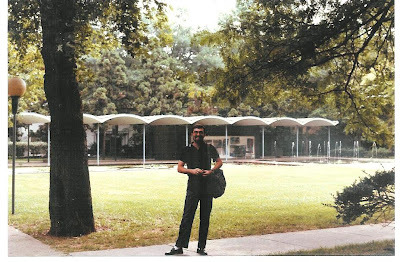 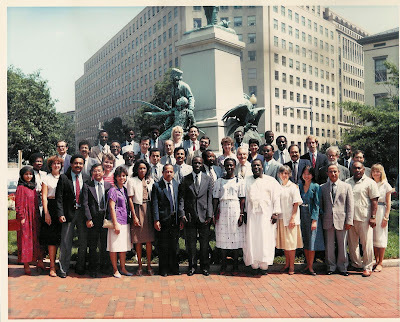 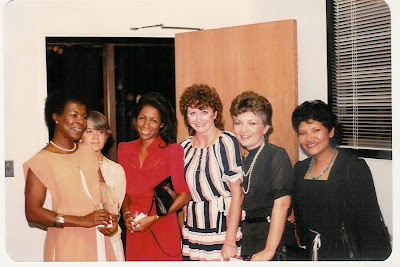 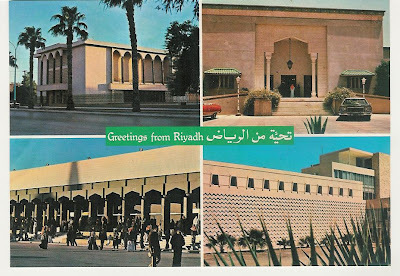 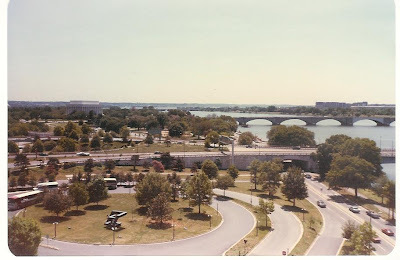 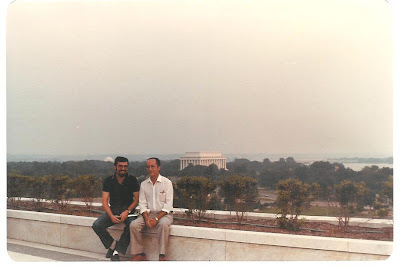 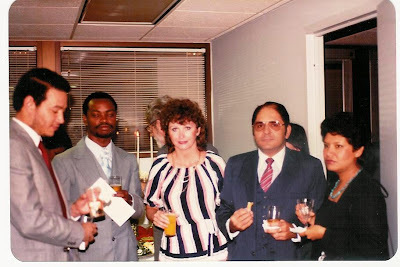 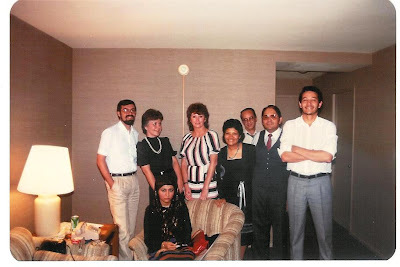 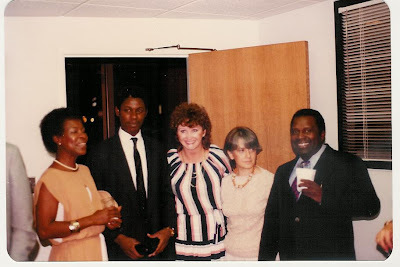 After Washington DC in the summer of 1984, I visited Saudi Arabia on business. 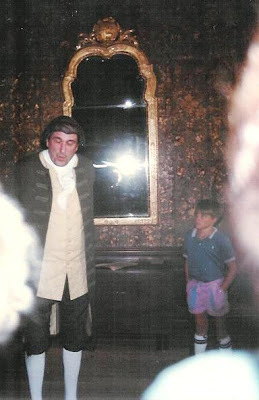 It was quite an experience... 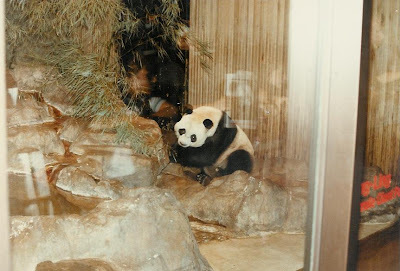 I have no pictures from there; just some kind of memorabilia. 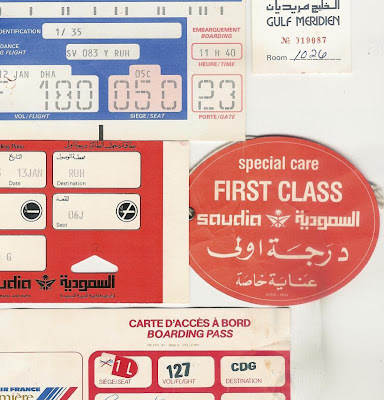 "BOARDING CARDS: Paris-Dhahran with Air France; Dhahran-Riyadh with Saudi, and Riyadh-Paris again with Air France..."
"MENU - Dinner was excellent!" 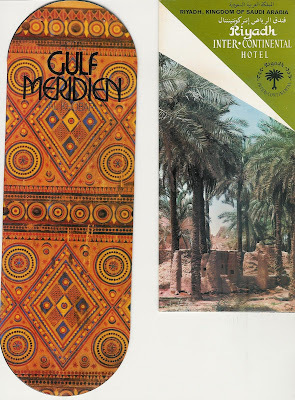 "HOTELS: Meridien Al-Khobar (Dhahran) and Intercontinental Riyadh"
The Rockefeller Centre features an observation deck atop the GE Building with panoramic views of Central Park and the Empire State Building. 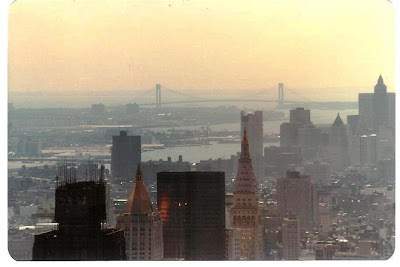 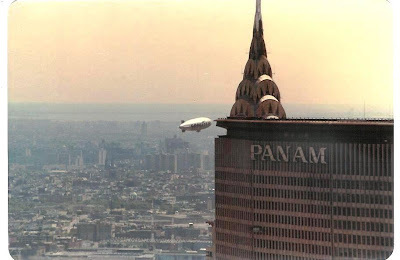 The observation deck remained open until 1986, but was then closed following a drop on the number of visitors and the cut off of the elevator access to the roof due to the expansion of the «Rainbow Room restaurant on the 65th floor. 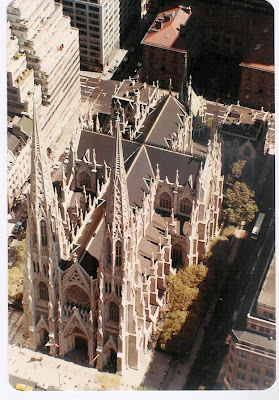 It reopened in 2005, and I still think it's the best view in NYC! 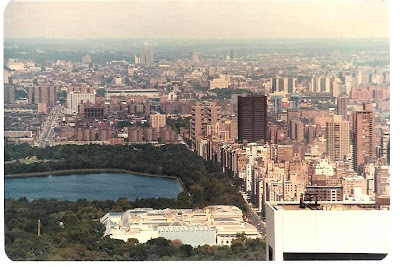 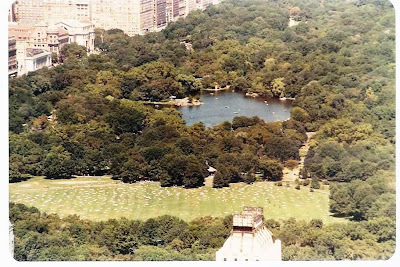 "5TH AVENUE -Summer in the city..."
"CHRYSLER and PANAM (it stil existed...)"
"CENTRAL PARK: Sheep Meadow and Lake"
"CENTRAL PAR: Metropolitan and Reservoir. 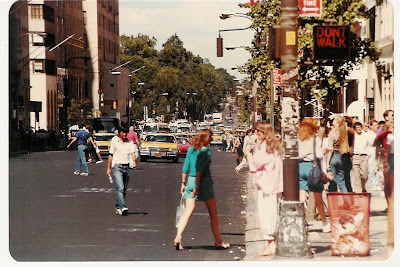 Also 5th Av. 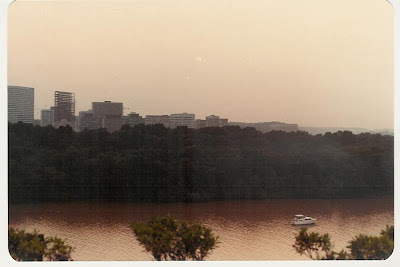 and Tom's apartment"
"FOUR LAWYERS, Three from Brazil, one from Portugal..."
"POTOMAC - The first case on Gerhard Kegel's Internationales Privatrecht book was The Fall in Potomac"
"WATERGATE building as seen from the terrace of the John Fitzgerald Kennedy Center for the Performing Arts"
"LAWYERS, between Jefferson and Lincoln"
"SOMEWHERE - This photo was mixed with the photos of Washington; I don't know where it was taken, but it remembers me of the Gauguin Museum in Tahiti..., a bit far from DC"
"ZOO - Avoid the crowds"
"LING LING and Hsing-Hsing was the National Zoo’s first pair of giant pandas; they arrived from China in 1972 as a gift to the American people. 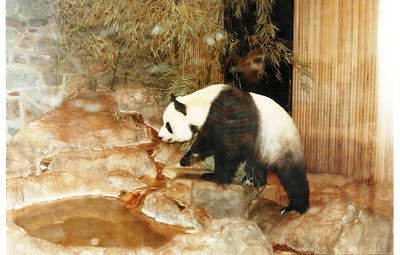 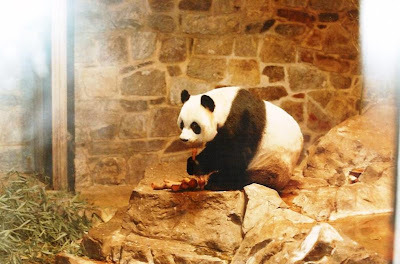 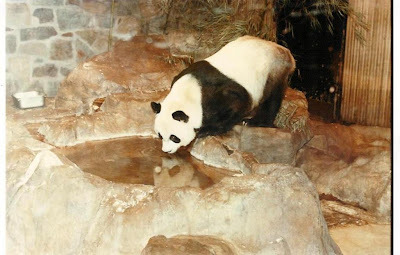 During twenty years together at the Zoo, the panda pair produced five cubs, none of which survived"
"PARTY - After three weeks conference at the International Law Institute, there was a farewell party"
"PRIVATE PARTY - No jackets, no ties, twenty three years ago..."
Colonial Williamsburg is the historic district of the independent city of Williamsburg and was the centre of Government, Education and Culture in the colony of Virginia. 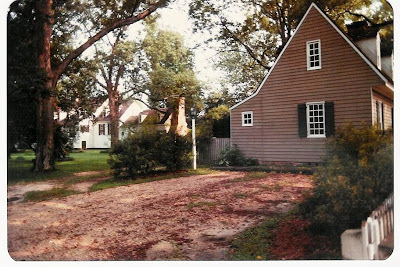 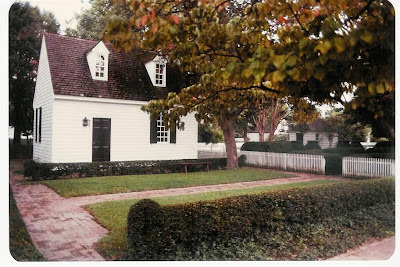 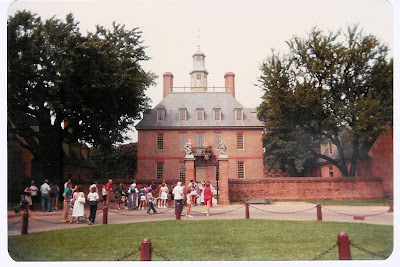 It consists of many of the buildings that formed the original colonial capital of Williamsburg in James City County from 1699 to 1780, and was built around four main buildings: the Raleigh Tavern, the College of William and Mary, the Governor's Palace, and the Bruton Parish Church. 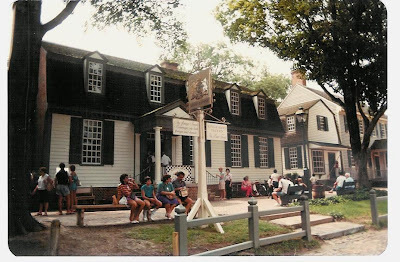 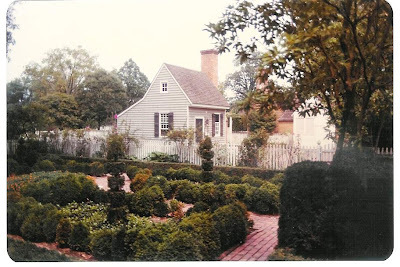 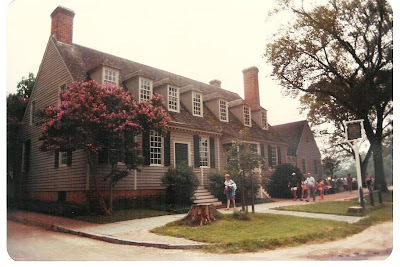 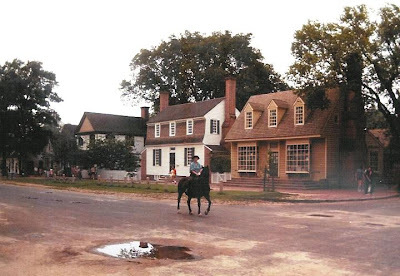 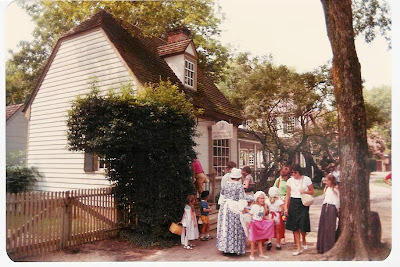 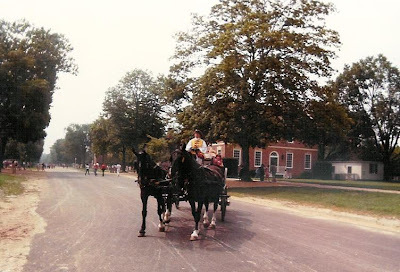 Colonial Williamsburg is a combination of a historical theme park and a living history museum. 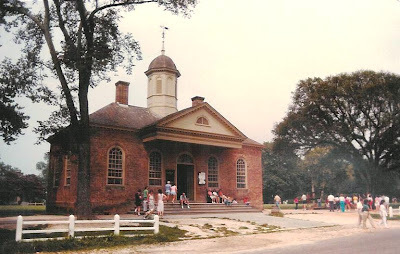 It has become one of the more popular tourist destinations for families and groups. 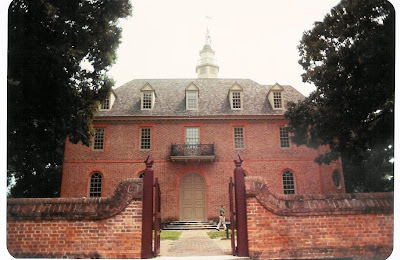 "CAPITOL - The reconstructed building, located at the eastern end of the Duke of Gloucester Street, was the seat of Virginia's General Assembly from 1704 through 1780"
"GENERAL COURTROOM was the Capitol's room where the most important Virginia civil and criminal cases were heard"
"PUBLIC GAOL (JAIL) - Virginia's General Assembly ordered a "substanciall Brick Prison" to be built in Williamsburg soon after it decided to make the city the colony's new capital. 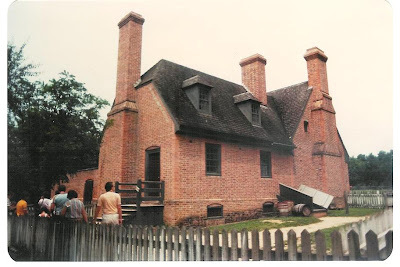 Known as the Public Gaol, the building's construction was authorized by an act of August 1701"
"RALEIGH TAVERN - Established about 1717, the Tavern was named for Sir Walter Raleigh, who had attempted the first colonization of Virginia in 1585. 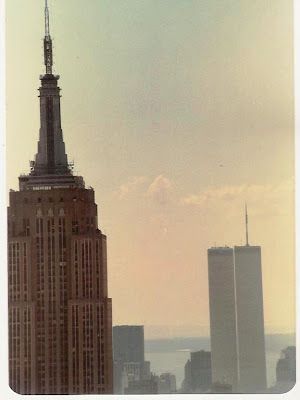 Balls were held there. 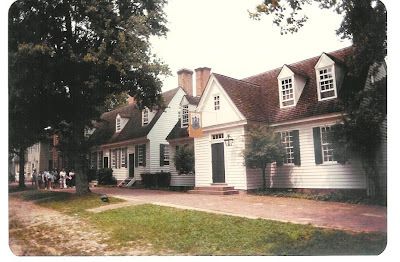 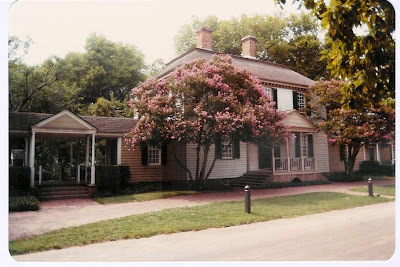 Jefferson, a student at the College of William and Mary, attended one with Rebecca Burwell (he called her "Belinda") on October 6, 1763"
"KING'S ARMS TAVERN, «The finest food, beverages, etc. 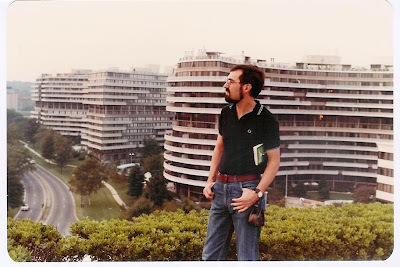 both foreign and domestic». 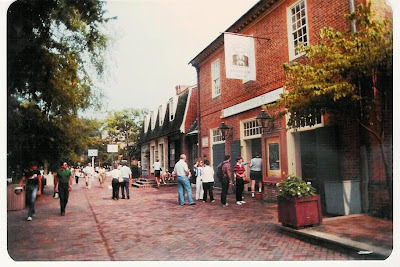 Opposite Raleigh Tavern on Duke of Gloucester Street, the King's Arms was known in colonial times as the restaurant where the elite met and ate"
"COURTHOUSE - Williamsburg's citizens assembled at the Courthouse at 1:00 p.m. Thursday, May 1, 1783, to celebrate the end of the war with England – just as they had gathered seven years earlier to hear lawyer Benjamin Waller proclaim from its steps the Declaration of Independence"
"DR. McKENZIE'S APOTHECARY, a store by the Governor's Palace, where one can buy items like those sold in the 18th century, such as herbs, spices, and apothecary jars"
"GOVERNOR'S PALACE - Home to seven royal governors, Patrick Henry and Thomas Jefferson. 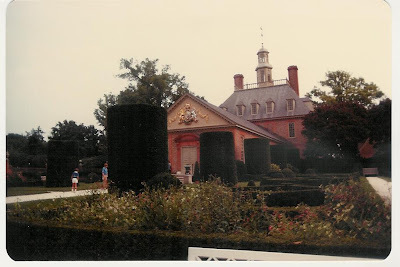 Thomas Jefferson drew a floor plan of the Palace in 1779, perhaps with a view to remodelling. 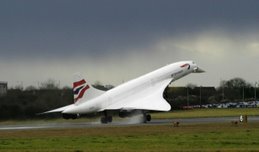 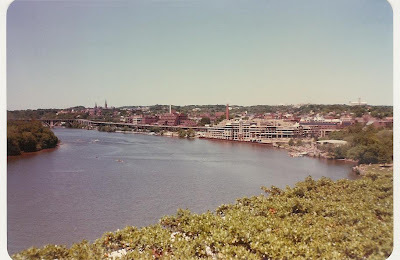 The government, however, moved the next year to Richmond, and nothing came of the plans. 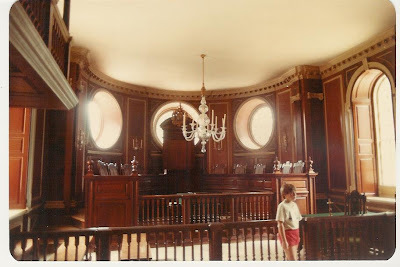 On December 22, 1781, a fire that may have begun in the basement destroyed the building"
"PALACE - DINING ROOM. 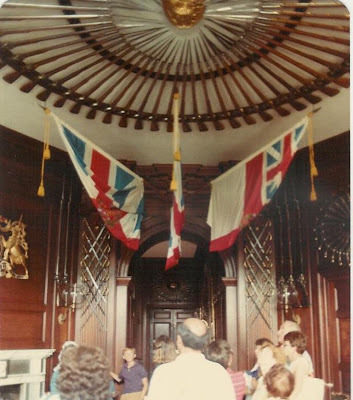 From the 1930s until 1980 the reconstructed Palace was elegantly furnished with fine British and American antiques arranged in what is now recognized as the Colonial Revival style. 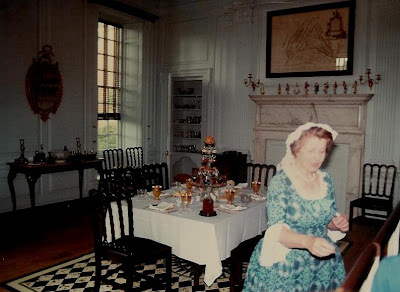 Subsequent research confirmed that the rooms, though handsome, bore little resemble to their 18th-century counterparts. 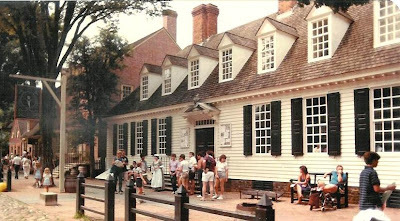 In 1981, the detailed 1770 estate inventory of Governor Botetourt's furnishings enabled curators to replicate the interior decor of the 18th-century with precision"
"THE WILLIAMSBURG THEATRE - The rich history of The Kimball Theatre dates back to January 12,1933 when the doors opened to players from the College of William and Mary performing the play «The Recruiting Officer», which records indicate was the first play staged in the first theater in British North America just a few blocks away on Palace Green"